PenFed, also known as The Pentagon Federal Credit Union was chartered to serve members of the armed forces including the Army, Air Force, Coast Guard, Department of Homeland Security, Department of Defense, defense-related companies, and Veterans of Foreign Wars. Pentagon Federal Credit Union has over $16 billion in assets, around 1 million members, and offers a full range of products including credit cards, car loans, mortgage loans, personal loans, savings and CDs. The Credit Union was federally chartered in 1935 to serve its members across the globe. Today, Pentagon FCU's headquarters are in Alexandria, Virginia, and the credit union now has 22 locations in Hawaii, New York, North Carolina, Texas, and Washington D.C. Additionally, there are Pentagon branches located in Guam, Japan, Portugal, Puerto Rico, and Turkey, all on military bases. Additionally, Pen FCU has a large network of ATMs that members can use free of charge. Like all other credit unions, Pentagon Federal is owned by its members and not-for-profit. Pentagon offers the same financial products that you would find at a bank, so there's no need to worry about selection either. Ready to see how Pentagon Federal Credit Union stacks up against our other top lenders? 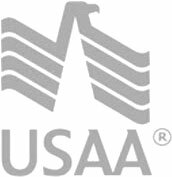 Compare Pentagon FCU mortgage rates, CD rates and more now!